In 1995, a major customer demanded higher quality, lower prices and reduced lead time for one of Herman Miller’s most popular items – a three-drawer pedestal metal filing cabinet. Failure to meet these demands would likely mean losing the business. 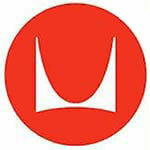 Zeeland, Mich.-based Herman Miller, a popular publicly owned office furniture maker, needed help. It came at the hands of TSSC. Dramatic improvements needed to be made on the production line of the pedestal cabinet. At the time, two assembly lines with 126 workers were running on three shifts. With a 10-day lead-time and orders that were batched/held for production by volume, this was no easy turnaround. Also, it took nearly 24 hours to change the line over from one product to another. That meant down time that was costing the company money and efficiency. The team members on the shop floor knew improvements had to be made; they absorbed the Toyota Production System (TPS) techniques/philosophy brought in by TSSC. One major change was cultivating a critical eye for problem solving. By zeroing in on wasted time, motion and manpower, they were able to eliminate changeover time and run multiple products simultaneously on the same production line. The company completely rethought its operation, creating a “pull system” that replaced expensive inventories with just-in-time deliveries. The continuous flow of product and standardized work that was implemented also helped improve quality. In the ensuing years, this troubled production line became Herman Miller’s best performer with the shortest lead-times and highest margins. From 126 assembly workers running three shifts and struggling to produce 6,000 pedestal cabinets a week, it jumped to 8,000 units weekly, with just 22 team members on two shifts. Also, production space was cut in half. “The turnaround was so significant that it got everyone’s attention,” said Long. In fact, four years later, the entire Herman Miller organization had adopted TPS as its sole management and manufacturing process. And it kept jobs in America. Long said that at one point, the company considered moving its Aeron Chair production to Mexico to reduce cost, but instead was able to use its TPS know-how to improve the operation and keep the jobs in the U.S. “As it turns out, it was actually more cost-effective to keep the jobs in Michigan,” he said. To learn more please visit www.hermanmiller.com.